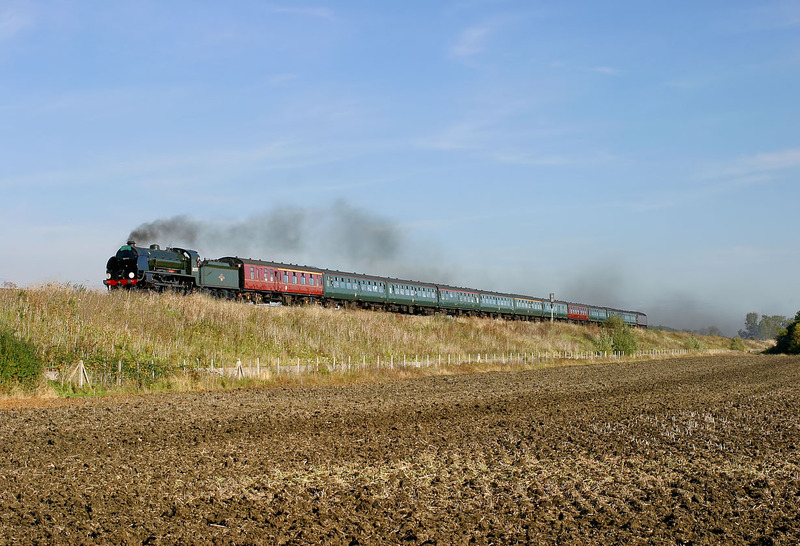 N15 4-6-0 30777 Sir Lamiel passes Knighton (between Didcot and Swindon) with the Steam Dreams 1Z82 09:10 Waterloo to Gloucester 'Cathedrals Express' railtour on 11 October 2008. The train is just about to pass the site of Knighton Crossing signal box, which was intermediate between Uffington and Ashbury Crossing (Shrivenham). The former level crossing at Knighton was abolished in the late 1960s and replaced by a road underbridge, which is just to the left of the picture.